Now Purchase a custom domain in Pakistan without credit card or paypal even for your blogger blog or wordpress. Top level custom domain is very important. If you have a top level domain instead of blogspot.com subdomain, your site will grow up fast. In Pakistan, it is difficult for some people to buy a domain from a quality provider such as GoDaddy.com because of unavailability of credit card and PayPal. Free Downloads (pcfavour) is now providing this facility for Pakistani. 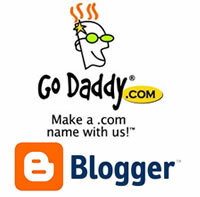 We will provide you fully controlled GoDaddy account with your own custom domain in just PKR 1000/Year. If you want to use your domain for your blogger blog, then our customer support service will help you to setup your domain for your blogspot blog. It’ll be very great offer for all of Pakistanis. PCFavour is the best blog of Pakistan. That’s really great. Keep up the good work.